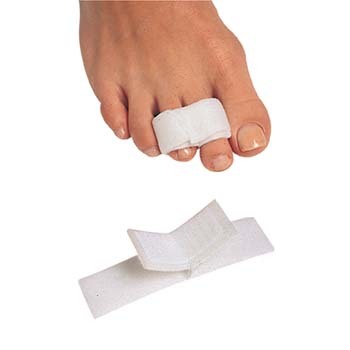 Soft, cotton-covered Velcro® splints relieve the discomfort of crooked toes, hammer toes and corns. Adjustable for a comfortable fit and varying correction. A soft fabric separator cushions between-toe irritations and sore spots. Washable and reusable. One size fits all.